Hello guys. This post will tackle on a few app-related issues with the Samsung Galaxy S6 (#Samsung #GalaxyS6) including crashes that occur immediately after an update. More often than not, if an app crashes after a firmware update, you will have to go after the caches. Once you cleared them, the phone will create new files and the phone will work smoothly. However, there are times when this procedure fails, so you will have to take your troubleshooting to the next level. Read on to learn more about the problems I cited here and how to fix them. If, however, you were trying to find a solution to a different problem, visit our troubleshooting page. It contains all the problems we already addressed before. Find issues related to yours and use the solutions we suggested and if they won’t work, you may contact us by filling up this form. We are always willing to help you. Problem: Hi guys. I need your expertise on this. My phone Galaxy S6 just updated its firmware and after that a bunch of error messages popped up and all I could do is tap the OK button but then again they would pop up disallowing me to use my phone. For example, there’s a message “email has stopped” then I hit OK and another error that says “play store has stopped” would come out and when I hit ok, another error pop up talking about another app that stopped. How can I fix this problem? Should the problem remain, it’s time you try to back up your data and perform the master reset. Problem: Dear, I refer to your solution to question #7 which is what i am also facing on my SS S6 phone (Outlook Email not syncing automatically). Your answer is listed on this link. However I am not able to see the said “Menu” and then “Auto Sync Data” option on my phone software screen. Please advise as getting the emails automatically pushed to my phone is of prime importance to me. Thanks, Amit M.
Troubleshooting: Not all variants of the Galaxy S6 have the same Settings options, some are placed somewhere. In your case, maybe auto sync is integrated with your accounts. Try to go to Settings > Accounts > more > tap Enable auto sync. I hope this helps. With my GS5, I was able to reorder groups in the contacts app (I have a lot of different groups I use for work). I do not see that option in the settings for contacts. How do I do that? With my GS5, I was able to set a maximum # of SMS & MMS messages before they got erased using the stock Samsung messages app. In the text message app settings, the limit per conversation is set to 1000 SMS texts & 100 MMS, which I want to lower since I do so much texting How do I change that #? I purchased this phone from an individual & after doing a factory reset & logging out of his Samsung account, I am not able to log into my Samsung account. I’m already logged in to my Google account & other accounts, but when I go to the account settings & click on the link to add a Samsung account, nothing happens & the phone returns me to the previous screen (it doesn’t take me to the login page that I would expect). I’ve tried restarting my phone a few times & the issue is still present. I had no problem logging into any of my other accounts, only the Samsung account. It seems Samsung has taken away that option on the Galaxy S6 so there’s not much we can do about it. It also seems that Samsung took away the setting for SMS & MMS limit; I also just discovered that now. As to the Samsung account issue, please call Samsung’s tech support for that. I actually encountered that problem before and I wasted a lot of time trying to figure out what the problem was to no avail. When I called support, they just did something on their end and I was able to log in. I hope these answers, albeit short, will suffice. Problem: Trying to set up email but won’t verify. Have checked setup with domain hoster and all email settings appear correct. Could this be a setting on the device restricting access? I set email up on an s6 just 2 weeks ago and that one is working fine. Answer: There were no reported issues with the phone’s stock email app as the process of setting up emails is pretty straightforward. Just double-check your settings because it’s a verification issue. With custom emails, there are times when you have to exclude the domain when you enter the username; there are also times when you have to change “@” to “+” in the username. Again, verification issues isn’t a phone issue unless there’s a problem with the internet connection. Problem: All of the sudden the error “Unfortunately, Email has stopped” showed up on my phone. When I press ok, the error would go away until I check my emails again. I don’t know what details to give you as I really don’t have any idea how this problem started. Please help me fix this. Thanks. Troubleshooting: It’s probably just a minor app crash. Try rebooting your phone first and then boot it in safe mode to see if the error still shows up in that state. The next thing to do is clear the cache and data of the email app. Turn off your Galaxy S6 Edge. 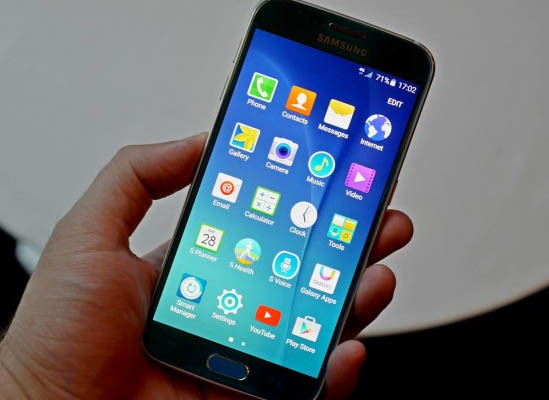 When ‘Samsung Galaxy S6 Edge’ appears, immediately release the Power key and then press and hold the Volume Down button. Continue holding the Volume Down button until the phone finishes the restart. When you see Safe Mode on the lower left corner of the screen, release the button. Scroll to and tap Email. I have multiple apps that have “stopped”. I have rebooted and followed above steps to clear cache and data but I am still getting the same error message. Any suggestions as to what I can do from here? !